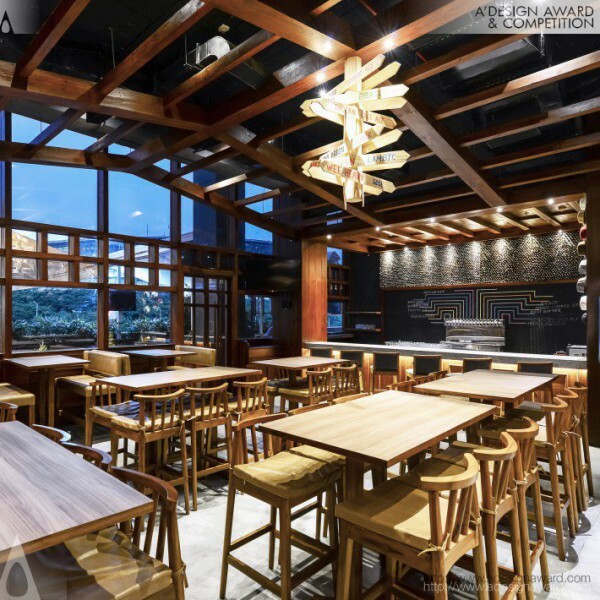 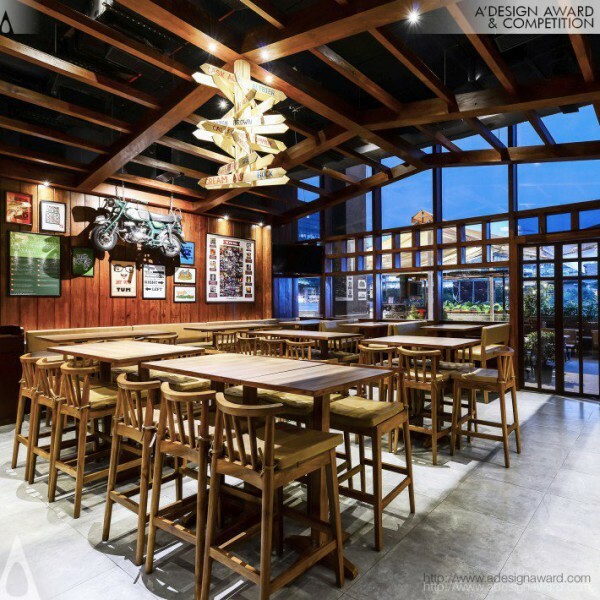 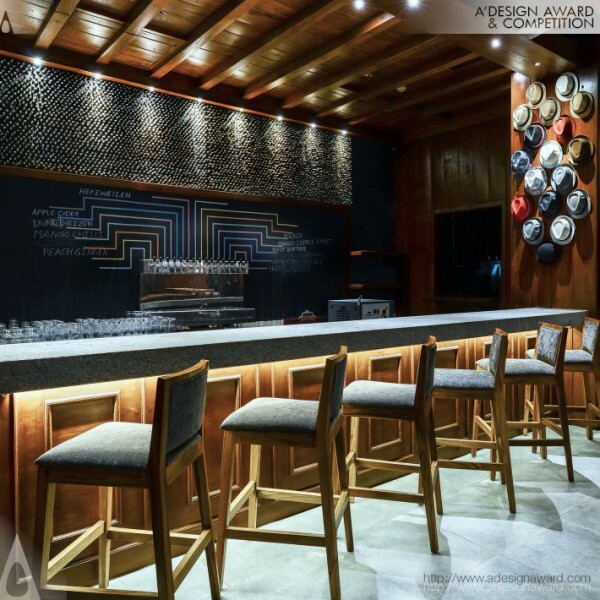 Ketan Jawdekar, the project leader of the award winning work Ketan Jawdekar's Effingut WTC Brewery spells out, Designers need to experiment with unique concepts in restaurant designs that attract clientele and can stay fresh and appealing with the future trends in design. 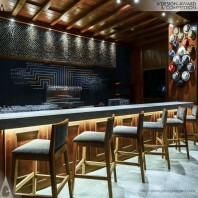 Unconventional use of materials is one such way to keep patrons engaged with interior decor. 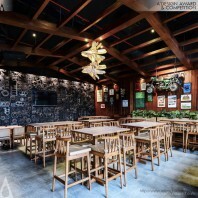 Effingut is an established brand in Brewery that believes in this thought. 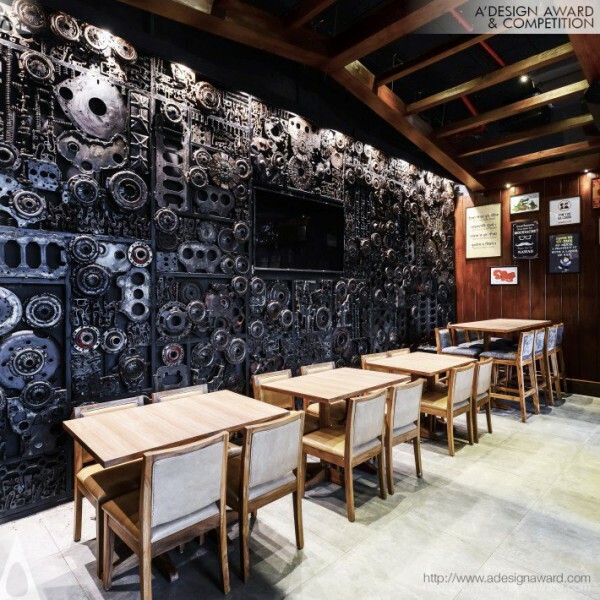 Unconventional use of Engine parts for the interior decor is the uniqueness of this restaurant. 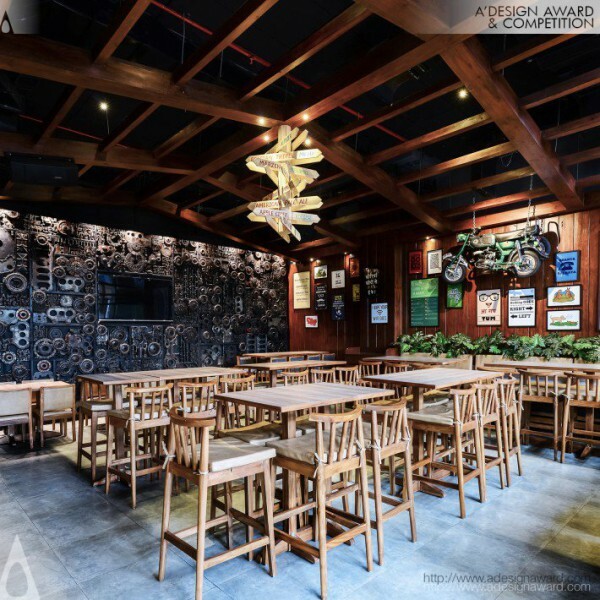 Designers wanted to emphasis on a relationship between automobile manufacturing hub of Pune and the craft beer of Effingut. 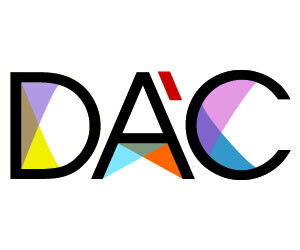 Theme of automobile engine parts thus evolved..